I-ELCAP events bring together leading physicians, researchers, and other professionals dedicated to the fight against lung cancer. 40th Conference - Save the date! 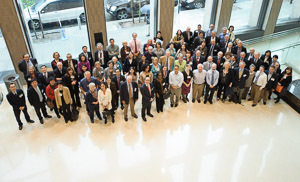 The 40th International Conference on Screening for Lung Cancer and 9th Conference on Research for Early Lung Cancer Treatment will take place April 12th and 13th at Mount Sinai West in New York, NY. Visit Joining I-ELCAP for information on how to become an I-ELCAP member institution. Since our initial, ground-breaking findings released back in 1999, I-ELCAP member research has revolutionized approaches to lung cancer screening through low-dose CT scans.